The last photos taken during the deadly Bulacan State University (BSU) field trip where 7 tourism students died have gone viral online. 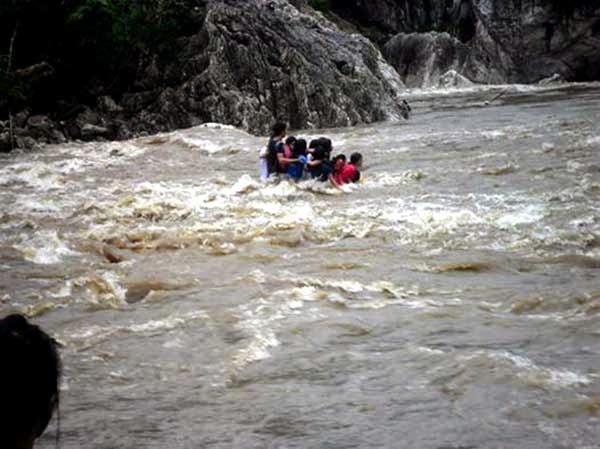 The first 3 photos, which Diolo Niño Santos posted on Facebook, show the students being swept away by raging floodwaters while crossing Madlum River. 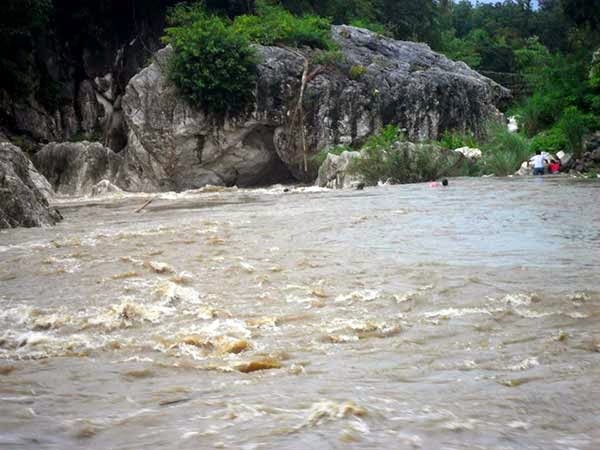 Coming from the Madlum Cave, the victims were on their way to the tour bus when the tragedy struck at around 3 p.m. on Tuesday, August 19. 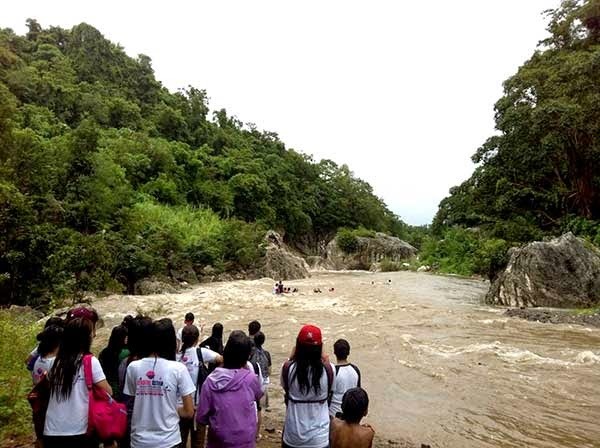 The fourth photo, shared by Darlene Grace Palma, is a proof that the rest of the excursionists were not able to do anything but watch their schoolmates struggle from the strong current and eventually drown. Authorities identified the casualties as Mikhail Alcantara, Helena Marcelo, Sean Alejo, Michelle Ann Rose Bonzo, Jeanette Rivera, Madel Navarro, and former Eat Bulaga dancer Maiko Bartolome. 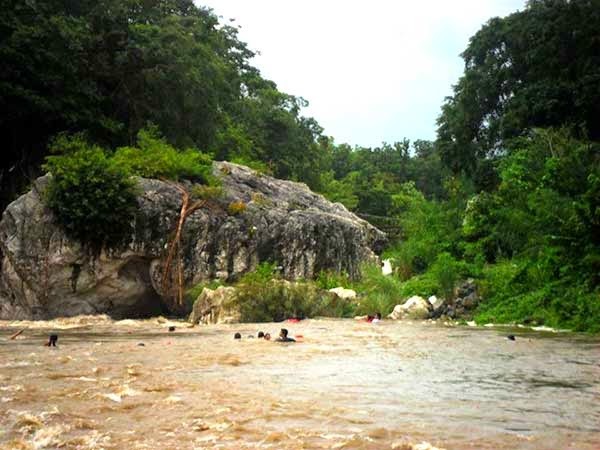 They were part of a group composed of 180 students, 3 teachers, and 10 tourist guides who visited the Madlum Cave, a tourist spot in San Miguel town. According to reports, the students initially wanted to go up Mt. Manalmon but the guides advised them not to proceed due to bad weather. Their parents reportedly mull to file criminal and administrative charges against BSU officials and teachers who were involved in the field trip for lapses that led to the mishap. Lawyer Julito Vitriolo, executive director of the Commission on Higher Education, told media that BSU apparently failed to notify CHEd's office in Region 3 in writing at least a month before the activity, which is required in the conduct of educational tours and field trips as provided for in CHEd Memorandum Order No. 17, series of 2012. He said higher education institutions cannot use the waivers signed by the victims' parents as a legal shield, adding that parties who committed negligence should be held liable.